← What to give the person who has everything? 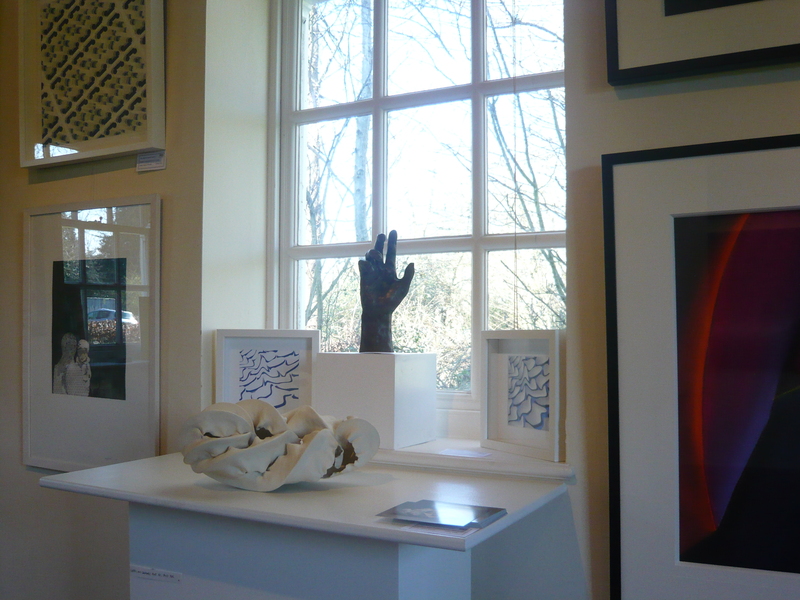 John O’Connor (one of my Art Academy tutors) once said to me that if I start showing my work, the rest will come…..
With this in mind I submitted some of my sculptures to Gary Rogers’ Runnymede Gallery Spring Exhibition and was delighted to have two pieces accepted (!). 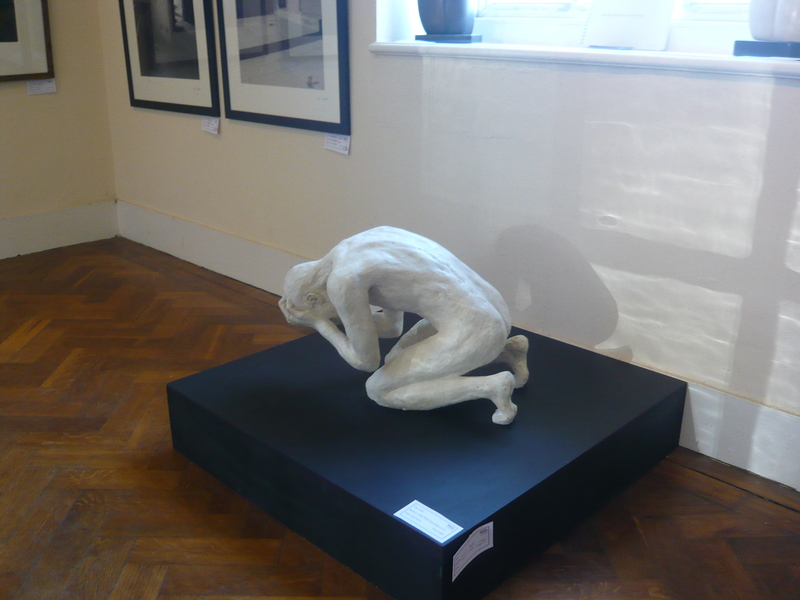 Grief, for which I have already posted an earlier blog and another sculpture called I am the Light – this is a life size portrait of a hand in cold cast bronze. In my imagination it represents Jesus gesticulating as he preaches. Joy is an abstract work inspired by the human form in joyous rapture, further developed by simplifying and accentuating the dynamic flow of energy through the figure. Put simply, it celebrates life. I will blog on this after the auction…..
Secondly I have been commissioned by a lady to do a portrait of her hand. She really liked the look of I am the Light and this inspired her. She told me that she has always wanted a bronze and had been waiting for the right moment. I am very excited about this and again will update you with a further post as the commission develops…..
How exciting – watch this space! 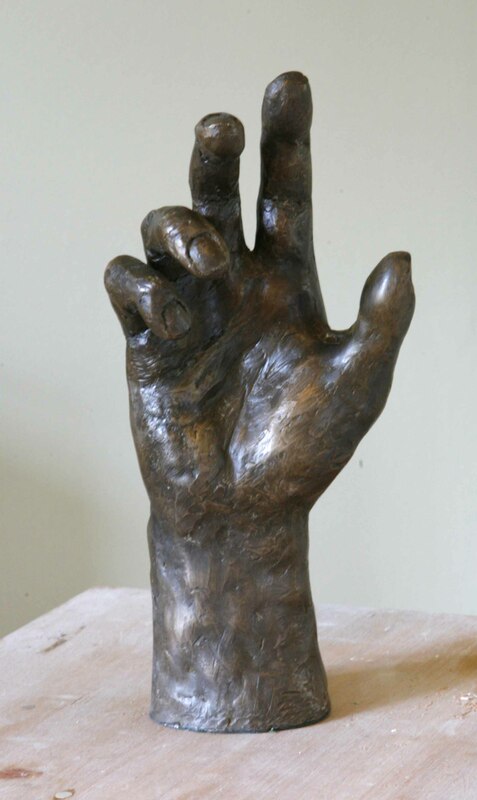 This entry was posted in figurative sculpture, gary scott blog, sculpture blog and tagged art exhibition, figurative sculpture, gary scott, gary scott sculptor, gary scott sculpture, hand portrait, photographic art, sculpture exhibition. Bookmark the permalink.